This is 2016, and most of us (I hope) are aware that the drug-store deodorant we are accustomed to, such as Secret, contain harmful ingredients like aluminum compounds, which have been linked to Alzheimer’s disease. Other ingredients in store-bought deodorant are Parabens which may disrupt our hormone balance by mimicking estrogen, Propylene Glycol causes damage to the Central Nervous System and Triclosan which disrupts the Endocrine system. Bottom line? Most drug-store deodorants may be VERY bad for us. So I went on a quest to find the best alternative. 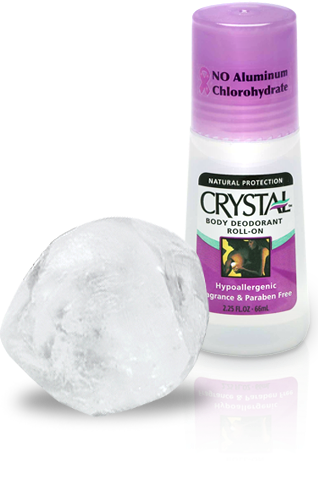 The last few years I have been using “the crystal,” you know the kind found at places like Whole Foods which claim to be less toxic than typical deodorants found at the drug store; but are they? You see, I had my bloodwork done; they found abnormally high amounts of aluminum in my bloodstream. Naturally, I boasted that it must have come from a source other than my crystal deodorant, since I was “crunchy,” aka natural. Low and behold, the doc busted my bubble and informed me that although the crystal is slightly better than name-brands, it is still made from harmful aluminum. As you can clearly see in the photo below, the label says “No aluminum CHLOROHYDRATE,” but this can be deceiving becuase the main ingredient is “Alum,” or “Potassium Aluminum Sulfate.” In actuality, they are not being fraudulent, per se… but it is still aluminum based. Those tricky, tricky labels. Damn. I really LOVED the crystal. My bestie then turned me onto Schmidts… a crunchy brand from Portland Oregon. People in the natural community RAVE about this product, and I have to say, it works AMAZINGLY as claimed. I love the company, what they stand for, AND supporting an American business woman like Jaine Schmidt. BUT… I was allergic to the baking soda (or other ingredients) under my arms. Soon after starting this product, cyst-like eruptions caused me so much pain that I couldn’t sleep or have clothing come in close proximity to my underarms. People LOVE this product though, and if you can tolerate the ingredients, I say go for it! Many in my online group have had a similar experience as I did; baking soda can be an irritant for some. Be forewarned, if you start to experience swollen glands, cysts, pimples or a rash… please discontinue it. I was left with no other option than to return to the lesser evil of the crystal, and just be happy that I was not stinking up the yoga room during Shavasana. But then… I heard something ingenious. MILK OF MAGNESIA, the blue bottle you have seen under your grandma’s bathroom sink. 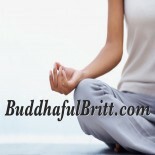 No, not for constipation… it can be rubbed under your arms to combat STANK! I know this seems like an oddity; I too thought there was no possible way that this chalky, watery, concoction could keep me feeling fresh and clean, but it does. At first, the Milk of Magnesia straight from the bottle was not quite working for me; I would re-apply a few times throughout the day, uncertain if I was “less than fresh.” I was especially nervous if I was out all day and not able to re-apply as needed. Lets be honest, carrying around a bottle of Milk of Magnesia in your purse could lead to some embarrassing moments. But, a lucky accident caused me to lose the cap of my Milk of Magnesia bottle, and after a few days the consistency thickened. I couldn’t pour it out of the bottle any longer, so I would swipe my finger inside. This miracle condensed the of Milk of Magnesia, causing it to be exactly what was needed for all-day freshness. Leaving it out in the air turns the milk into a smooth paste-like substance which concentrates the ingredients making it stronger, longer lasting, and easier to rub under your arms. What I do, is buy a large bottle (any brand will do, but no flavors) pour it into a small glass container and let it sit out for a few days until it dehydrates; you can then place the thick cream into a more convenient container for future use. After a few days, it will become a thick, creamy, consistency as shown in the photo below; the key is the thickness. Use a little on your finger, or a cotton ball, to wipe under your arms, then place a lid or cover on it once it has thickened. I have tested this out, and the thicker consistency, the longer the coverage. I can go more than 24 hours without worrying if I smell fresh or not. So, then I got creative. I decided to pour an entire bottle into a corning-ware style roaster pan ( Use a non-metal container). This creates more surface area to the dehydrating method, which gives you thick buttery Milk of Magnesia in a shorter amount of time. Then, I use a rubber spatula to place my concoction into little glass containers (from the dollar store) for future use. I am THRILLED with the results of this little discovery I’ve made, and I’m sure you will be too. BUT WAIT… Milk of Magnesia can do more cool things. Did you know that the chalky substance can also help with greasy facial skin? It can be used as a primer to your make-up routine. The reviews are overwhelmingly in favor of the Milk of Magnesia helping make-up stay matte all day without looking shiny. Now, the granola-girl inside of me doesn’t like to mess with a body’s natural duties, but sometimes I can see where this might be a temporary fix on special occasions. Other fascinating uses for Milk of Magnesia would be for diaper rashes, poison ivy, cystic acne, and even cools down sunburn. I would love to hear your natural deodorant journey. Have you tried Milk of Magnesia? i’ve used the schmidts deodorant. i loved it until it broke me out! have you tried the armpit detox? I’ve been reading about it, but it’s mostly stuff I already do and use. Bentonite clay, ACV, diet, probiotics etc. correct? Would love to keep in touch! I too have tried many natural deodorants and have even made my own which worked wonderfully for almost 2 years and suddenly just stopped working. I tried the milk of magnesia and as you said it worked but not all day. I decided to try drying it out since you said that is what did the trick for you. Well it worked great. I had been impatient in the begining and waited till it was more like a lotion and it gave me about 8 hours. I came back and looked at your picture and thought I better try this again and wait till it is much thicker like a cream or lard. That is what it needed. I decided to try it again when I had a very hectic day ahead of me, cleaning my house. I did not reappy the next morning since I wanted to see how long it would last. I have to say that it gave me 39 hours of no odor. I started to get a little bit of an odor right at the 40 hour mark. I am impressed that letting it dry out some of that water is all it needed to work so incredibly well. So now I know to let it reduce down to half and it will be perfect. I started out with 2 tablespoons in the cup they give you for your serving and when it was at 1 table spoon it was just like your picture. Thank you so much for sharing this. I never would have thought of trying it that way. What a happy accident that you lost the lid and that I happened to see your post on Facebook. I have also thought, MAYBE pour it into a cookie sheet to let it dry out. Then use a spatula and bottle it up. I haven’t tried it yet, thought. I’m really excited that it worked for you as well, it’s a happy surprise! Oh now that is a good idea. I have a lovely green bowl with a lid that I was thinking of pouring it in so it could dry out and look pretty while sitting on my bathroom counter. Instead of sitting in that little plastic cup. I’m thrilled you tried it… And liked it. I’m even more thrilled you wrote to me. Thank you! I felt that if you were kind enough to share your discovery the least I could do is let you know that I tried it and it worked. I also shared it on Facebook and let them know I tried it myself and it worked. We are trying this now and it seems to be working well. I did want to say that “any kind will do” is not really accurate. From everything I’ve read you want to find the kind that only has “water” as an “inactive ingredient”. The others (All of the philips kinds for sure) have Sodium Hypochlorite (BLEACH) in them. Crazy right? We looked in every store in town and every single kind had that ingredient. The only one I found was the GoodSense brand on Amazon for under $4. Still trying to dry some out so it’s more paste like. I may have to try stretching it out more. Oh, sorry, multitasking. I meant to say it’s not really safe to use that kind (not accurate). Just wanted to share what I had learned since it seemed crazy to me that this would have bleach in it. I didn’t feel like getting rid of certain toxic chemicals just to put bleach on my skin. 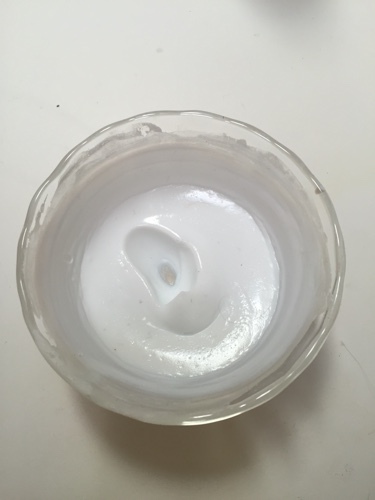 This entry was posted on January 8, 2016 by Britt in Au Naturale, Buddhaful, Easy Breezy DIY, Raving Review and tagged deodroant, Milk of Magnesia, natural deodorant, schmidts.